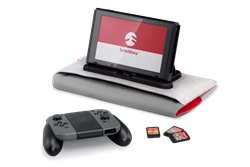 Unlike other Switch cases focus on protection, PowerPACK provides a solution for extended mobile play. It allows gamers can play anywhere, anytime. 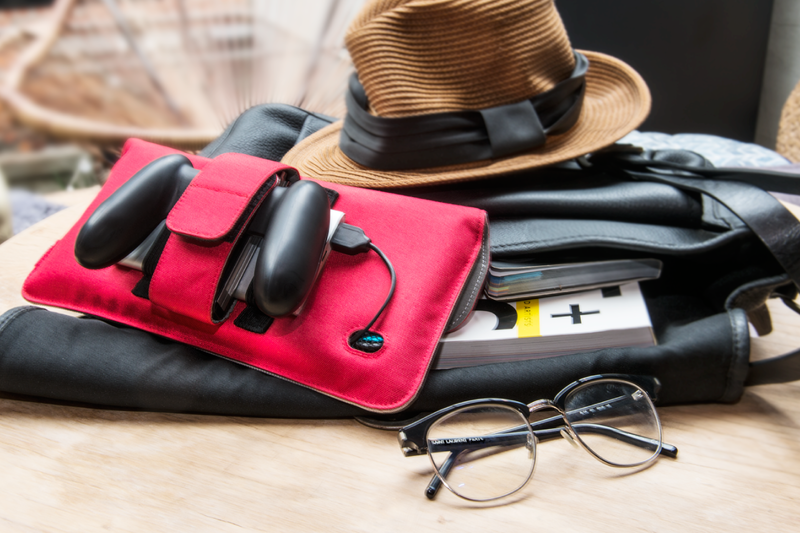 SwitchEasy™, a leading provider of mobile lifestyle accessories launches PowerPACK on crowd-funding site Kickstarter. 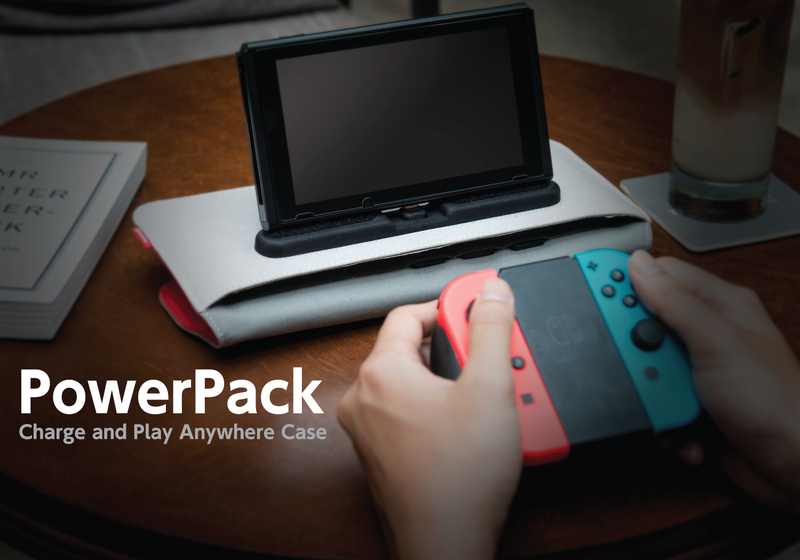 Starting from $14.99 for the super early bird special, PowerPACK is the world’s first case that Switch gamers can charge and play simultaneously while on the move. It’s time for gamers to play Switch anywhere, anytime! By installing the included USB-C cable into our patent-pending L-shape dock, gamers can sit their Switch nicely on PowerPACK while playing at the same time. Want to use the gamepad? No problem, the Switch monitor can fit securely on PowerPACK while gamers can enjoy gaming with the gamepad. PowerPACK is designed to be a mobile power station for the Switch‭. ‬Just turn on the external battery and plug the power cable to the Switch, gamers can charge it anywhere and enjoy continuous gaming experience. In addition, PowerPACK have included a built-in GamePocket which can hold up to 7 games. A specially constructed square access hole allows gamers to view which game card they want to get. To keep PowerPACK light and easy-carrying, SwitchEasy designers have designed PowerStrap to hold the portable battery and the Joy-Con grip. Now gamers can organize their portable battery and Joy-Con efficiently instead of throwing them into the bottom of backpack. With PowerPACK you can hold organize up to 4 Joy-Con controllers in one go! Compatible with SwitchEasy patent-pending charging dock, PowerPACK includes the L-shape USB-C power cable makes it easy to play and charge at the same time. It also allows gamers to charge their Switch in PowerPACK on the go. It also includes two exclusive game card sized microSD card holders for gamers to download game storage. SwitchEasy is currently offering 200 PowerPACKs to Kickstarter pledgers at an early bird price of $14.99. Gamers can sit their Switch nicely on PowerPACK while playing at the same time. 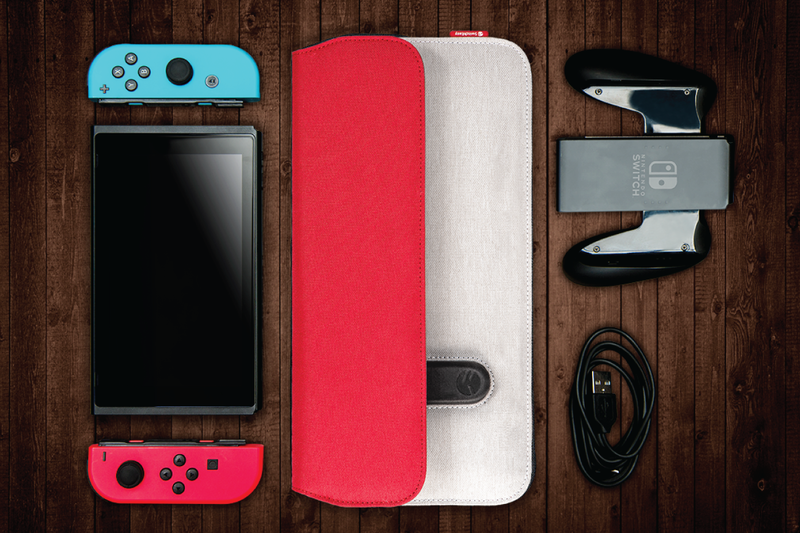 PowerPACK is the most comprehensive case for Switch and accessories. PowerPACK is designed to be a mobile power station for the Switch‭.